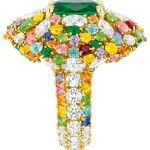 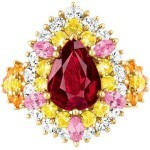 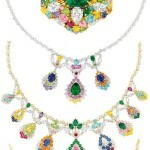 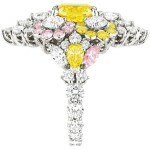 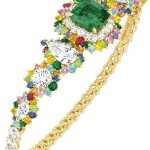 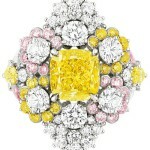 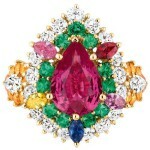 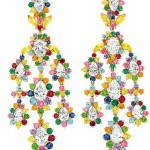 Colored stones of Dior Fine Joaillerie new collection. 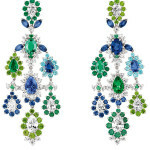 Another beautiful collection of jewelry Dior Fine Joaillerie is dedicated to the founder of the fashion house – Christian Dior. 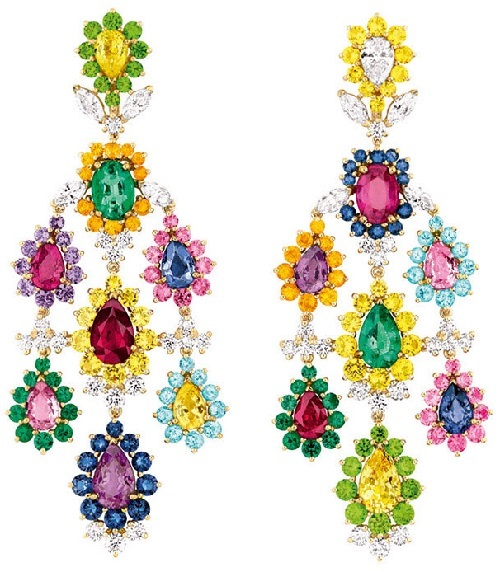 Couturier was very fond of colored stones, because, in his words, they give the true value to jewelry, and unusual glow to body. 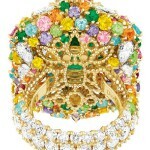 French jewellery designer Victoire de Castellane, the chief jeweler of Dior brand, was in full solidarity with the great fashion designer, and she shows her new collection. 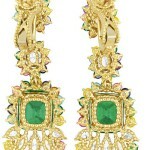 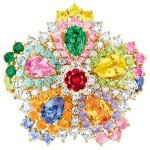 It contains twenty-one pieces of jewelry, each of which is studded with diamonds, sapphires, rubies, emeralds, tourmalines and garnets of different colors. 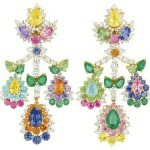 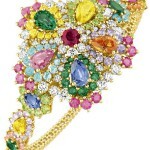 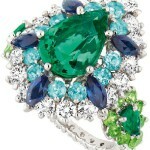 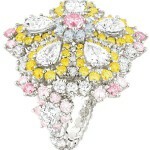 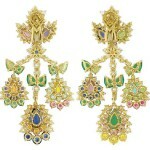 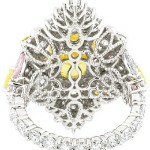 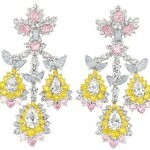 Victoire de Castellane worked with the idea of all the colors fighting each other. 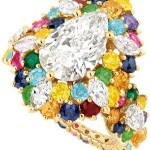 She loves the idea of unlikely colored stones nestled next to each other or locked in a strange embrace. 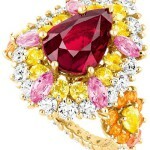 So in her latest dramatic effort, rubies nuzzle purple sapphires; yellow sapphires hug their pink confreres. 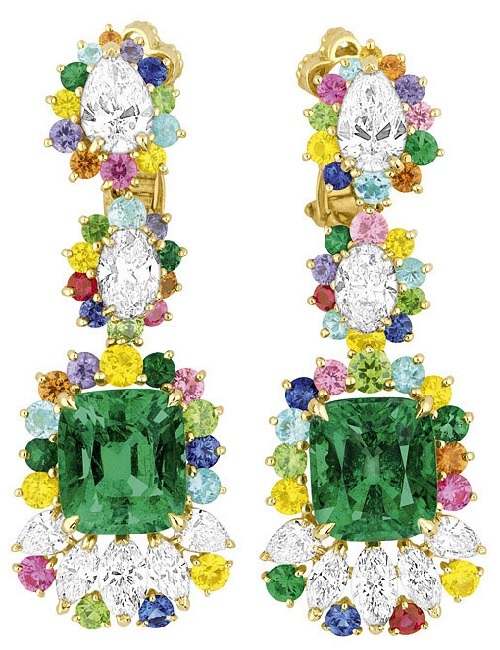 “They are not supposed to be friends, but they are stuck together!” the designer laughs. 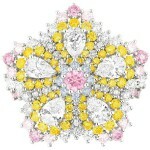 The collection began as an imaginary letter to Monsieur Dior, and is an homage to the firm’s couture atelier. 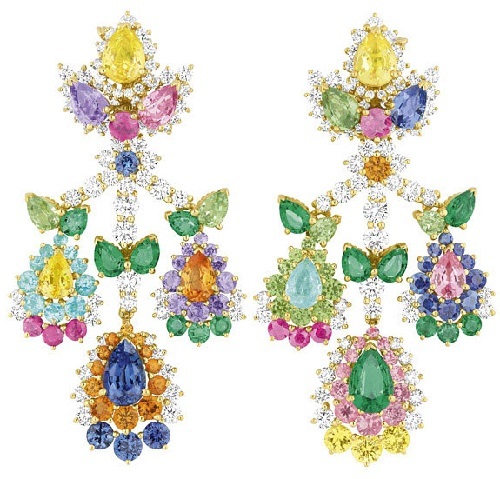 To that end, the back of each piece is as finely wrought as the front, worked to evoke golden lace, or to bring to mind the finest embroidery. 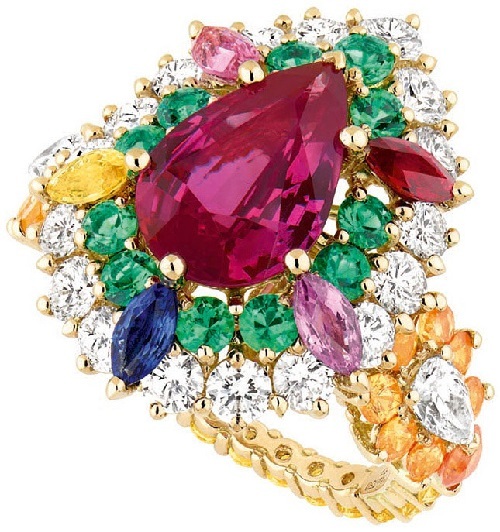 And every piece, no mater how large and impressive the stones it incorporates, retains the delicacy of execution that de Castellane is famous for. 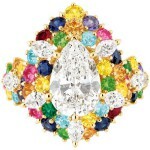 The process has been a lengthy one: The stones were curated over the last two years, hailing from places as far-flung as the American Southwest and Hong Kong. 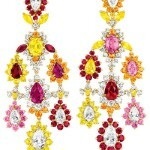 Before committing to them, de Castellane had them sent to France to see if they would pass muster in the Parisian light.